How Soon Will the Majority of Books Be Self-Published? 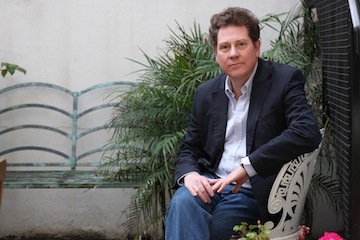 Literary agent Andrew Lownie believes that in 5-10 years, 75% of books will be self-published, 20% assisted by agents, and only 5% traditionally published. Among the many ideas that rose to the forefront of discussions at this year’s Women’s Writing Festival was the idea of collaboration among writers, an idea that has come of age with the digital revolution. The best example of collaboration is the creation in 2013 of EWWA, the European Writing Women Association by Italian authors Elisabetta Flumeri and Gabriella Giacometti – primarily an Italian organization but open to all Europeans and engaged in a series of networking activities, with now some 165 members. Collaboration was a leitmotiv at the Festival this year too and often came into the discussion which centered on the “digital disruption” in the book market. As might be expected in any discussion about the digital revolution and self-publishing, points of views diverged and the discussions between panel members were often heated. High points were reached when Maria Paola Romeo moderating a panel playfully suggested that the figure of the editor/publisher was on her way out. 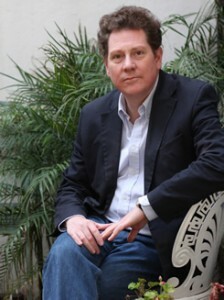 But it was Andrew Lownie how made the boldest predictions, stating that in five to ten years from now, 75% of the books would be self-published, 20% would be publishing assisted by agents, and only 5% traditionally published. The suggestions were politely rejected but the audience’s interest never flagged, as everyone felt that what was under scrutiny here was a crucial moment in publishing history, the passage from print to digital. Yet there never was any polarized position-taking or unpleasant exchange of opinion, no animosity at all. Is Lownie right? Let us know what you think in the comments.